This card is used to connect the AMBE3000 vocoder via USB to create a DMR / D-STAR digital dongle for use on a PC with the BlueDV for Windows software. This material does not have the CE mark and should be used for experimental purposes in the amateur radio field and in applicable local legislation. 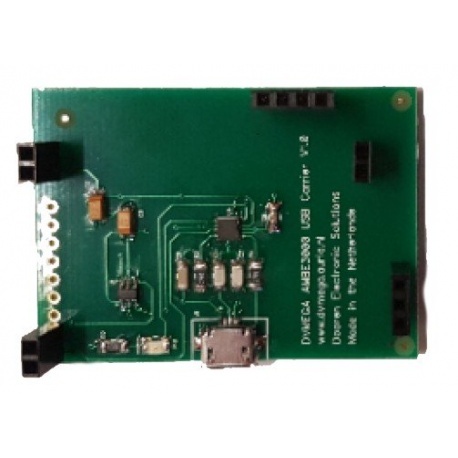 Description: This card is used to connect the AMBE3000 vocoder via USB to create a DMR / D-STAR digital dongle for use on a PC with the BlueDV for Windows software. Documentation and editing on: http://dvmega.auria.nl/AMBE3000_shield.html This material does not have the CE mark and should be used for experimental purposes in the amateur radio field and in applicable local legislation.